ULTRAMAX is a technologically advanced canister filter whose design is based on patented solutions that guarantee exceptional comfort of use, perfect water clarity, and optimum water parameters even in the most demanding aquariums. 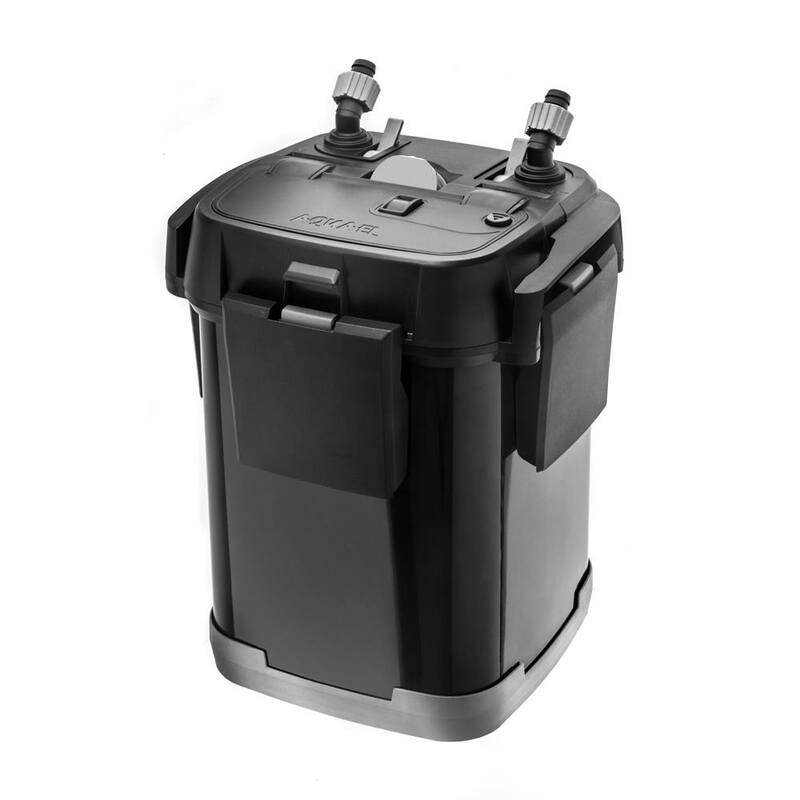 ULTRAMAX is a technologically advanced canister filter whose design is based on patented solutions that guarantee exceptional comfort of use, perfect water clarity, and optimum water parameters even in the most demanding aquariums. Thanks to the builtin pre-filter, the time between cartridge cleanings is greatly improved. The fact that the pre-filter is placed inside the lid means that you can replace it without removing the filter from the aquarium cabinet.